Sign up and get $20 OFF Reiki session with Dr. Danilychev at UTC location! Welcome to San Diego Reiki! 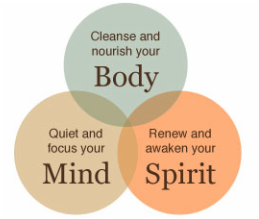 Reiki are a holistic Mind-Body Wellness Center specializing in Jikiden Reiki, a natural healing art from Japan. We offer Reiki sessions, as well as Reiki Training. We main office is located in UTC area of San Diego, and we now also offer Reiki sessions at the Japanese Friendship Garden in Balboa Park. Reiki is amazing, but don't just take our word for it. Join the virtual summit to connect to Reiki and come in to our center and experience it for yourself! What's unique about our center, is that you can enjoy Reiki with a medical doctor! Our founder, Dr. Maria Danilychev is an MD and is a Certified Jikiden Reiki Shihan (Master/teacher), with a rare combination of skills and expertise. Curious about Reiki, but unsure about it? Come in for a FREE consultation to see if Reiki is right for you. During this appointment, the doctor will answer any questions that you may have, but no actual Reiki will be performed. ​CLICK HERE to book. We strive to provide the best Reiki services available in a consistent and professional manner. We are dedicated to maintaining Reiki in its original tradition by offering and teaching only the purest, most traditional Reiki style, Jikiden Reiki. We are dedicated to sharing the benefits of Reiki with others. "As a doctor practicing Western Medicine for nearly 20 years, I found myself amazed with the effectiveness of Reiki, a Japanese holistic wellness method for body and mind. I have decided to combine my medical expertise with this gentle healing art and I can't wait to share my gift with you! ​I am honored to be a part of your journey to a deeper physical, emotional and spiritual wellness!" San Diego Reiki is a unique holistic medicine practice that was founded by Dr. Maria Danilychev, a practicing Western Medicine M.D. with a diverse background in Hospice and Palliative Medicine, Geriatrics, Internal Medicine, and clinical research. After observing positive effects of Reiki on her patients, Dr. Danilychev learned this amazing technique, and decided to use Reiki to help people beyond her medical practice. ﻿​"I started this practice because I know that all of us deserve individualized care and attention, that we deserve to be treated with dignity and as a whole person, and yet our health care often deprives us of exactly that. I do this because I can utilize my expertise in Western Medicine, and yet use something so natural and simple to help people feel their best." ​We provide our services at our convenient San Diego location in UTC, a few blocks north of the UTC mall. We hope that you will enjoy our gentle work and we look forward to helping you achieve a more calm and balanced state through our practice! Don't just take our word for it, try it, experience Reiki for yourself! Make an appointment, it only takes a minute! We are very honored to receive a community choice award! We are rated 5 stars on Yelp, Google, and Groupon. Click HERE to see our Yelp reviews.